The Vice President Alhaji Mahamudu Bawumia has assured the Auditor General, Daniel Domelovo, that government will not interfere in his job and will give him the needed resources to help him fight corruption. Speaking at the 2018 Accountability Lectures and Launching of the 2017 Financial Year's Audits, Dr. Bawumia said government's decision to increase the budget for the Audit Service is an indication that the government is willing to help the service fight corruption in the public sector. “I am sure the Auditor-General can testify that since coming into office, this Government has not interfered with his work. In fact, I can assure you that not only will we not interfere with your work, we will rather provide the right environment for the Auditor-General to continue doing his job. According to the Vice President, without “blocking” the leakages in the system, all efforts towards revenue generation will go to waste because some public officeholders will collude with third parties or private sector operators to appropriate public funds for their personal economic gains. “I can assure you, Mr. Auditor-General and the Audit Service Board that, on our part as government we would make every effort to provide you with the needed resources for your work. We have already demonstrated it by increasing your budget for goods and services from GHC14million in 2016, to GHC19million in 2017, and almost doubling it to GHC35million in the 2018 budget. “I am proud to say that as we did in 2017, government is committed to releasing all your budgeted funds in 2018. 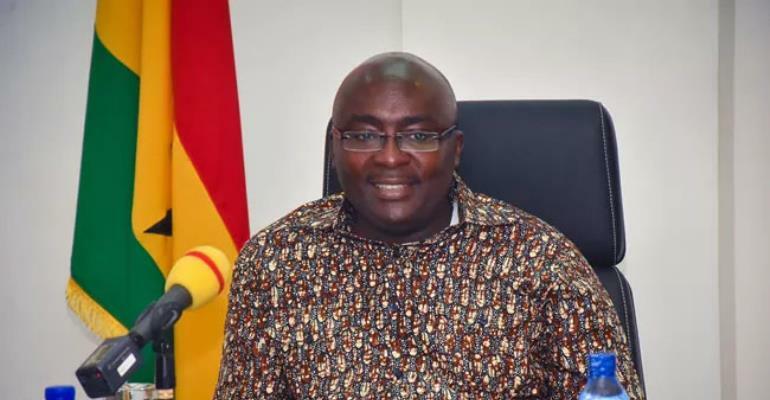 Delays in the release of funds compromise your ability to meet deadlines for the submission of the Auditor- General's report to Parliament,” Dr. Bawumia added.